nyle systems. In the array of dehydration equipment available, ranging from very large scale and high temperature industrial equipment to small residential electric forced air dryers, Heat Pump Dehydration has proven to be a cost effective way to dry many different types of food products. Up to 60% less energy use versus the conventional systems. Food drying, a method of food preservation in which food is dried (dehydrated), has been used widely in the human food industry for many years. Drying inhibits the growth of bacteria, yeasts, and mold through the removal of water. 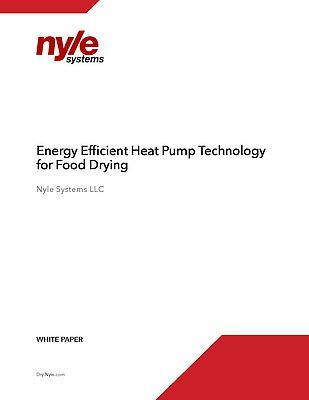 Dehydration has gained a strong market for a wide variety of foods and snacks with companies looking to optimize the capabilities of this technology with energy cost savings by using Heat Pump Dehydration. Riko Level Switches are compact and simple in design. They have proven their high reliability in a wide range of applications. Many more types are available. Piston compressors and vacuum pumps, diaphragm vacuum pumps in 12/24 DC versions, 230V 50/60Hz versions, single and double head. Umatched in reliability, performance and lead time!! The contact for any pumping problem.